Oh completely agree. We will hear tons of complaints about it being a reach and in terms of talent on the board and it will be. But the fact is, QBs almost always go higher than they should. Elway has put himself in a position where he has to take one. Unless he has something else up his sleeve, which maybe he does. But there is almost no way Denver can go into next season without a QBOTF on the roster. Denver almost has to go QB with a 1st or 2nd round pick and considering the current state of Denver’s QB situation they can’t afford to try and get cute with it. I don't get the chance to watch College Football these days (can't even fit in my all 22 Bronco stuff at the moment), but what is the Patterson kid from Michigan like? I subscribe to the Athletic and their writers are raving about his improvement from the Week 1 Notre Dame game. He seems pretty good. There is another McCaffrey behind him as the backup...and heard he was pretty good too at QB. Some quick notes on Jones on just two games of tape. Kid is fearless in the pocket and steps up. Stronger throwing to his left than right. It appears he gets more velocity on throws to his left as far as outs and similar routes. It doesn’t matter what hash the ball is lined up on. I don’t think this is an arm strength issue. The games I watched were after his collar bone injury so could be that or looking at his footwork I could see where he isn’t balancing his feet as well when he throws to the right. Not a pressure issue either. Fairly accurate passer and is able to look off coverage. Ill have to watch more. The problem with the reach isn't just that it's a reach for talent - it's that Elway will then exclude himself from a much stronger 2020 class. I agree 100 percent Elway's in an awful spot. No Lynch (which we all knew was happening) and no Kelly.... it's going to really hard for Elway to sell hope without somebody there. A Rd3+ pick on a project would probably the smartest thing (as it wouldn't prevent us from hitting Rd1 2020 if that 2019 guy didn't show he was close to ready to take over), but even then it's a very iffy proposition in terms of appeasing the fanbase. Kelly really killed us. Even if he failed in 2019, just the ability to not reach out of desperation had a ton of value. Honestly, our best hope IMO given we are not likely going to pass NYG - we go 2-5 ROS or 1-6 and then pick in the top 7-8, high enough where elite non-QB talents are there (Bosa & Oliver are generational, but we have 5-6 other elite talents after them..sadly none at QB). And then we justify picking Rd2 or later for a QB. This draft has a ton of guys who are Rd2-3 guys, and while QB's get overdrafted, it's when the demand exceeds the supply - this year, there are probably only 3-4 teams who are desperate for QB's (NYG, OAK, us as the obvious 3, but add MIA if they walk away from Tannehill, covered in other thread lol). If we pick in the mid-teens, though, then the elite non-QB talents are gone. Then the decision to take a huge reach for QB becomes harder to resist. There are 7-8 Rd 2-3 types, so there will be someone of that type still there - the issue of course is Elway patient enough to do that, or does he zero in on "one guy" like he's done in the past? Before 2017, zero chance we'd see Elway be patient. But a big part of 2017's change in draft methodology (besides being skill-based over raw tools) had him waiting for value....does he do it again in 2018? EDIT: It's kinda funny and sad that the argument that Keenum could play better and justify us holding off on QBOTF hasn't been brought up. It's been that bad. SMH. I could be wrong about QBs, but I have been watching Rogers and Brady a bit more and they get the ball out quickly because it seems they rely on the receivers to get the ball. You look at Osweiller and he is so afraid to let the ball go if the play isn't perfect. I think we need a QB who can show some gumption in just getting rid of the ball...and, with a receiver like Sutton there really isn't an excuse...his catch radius is unreal...on 3rd and long...I'd just have him spring 30-40 yards and I'd just launch it to him to see what happens. He's either going to win the jump ball...there will be a called pass interference...or, the ball gets picked, which would be as good as a punt...at least with this option you got a 2/3 chance of something good happening. If you get Daniel Jones and John Harbaugh in the off season does that make the off season a success? 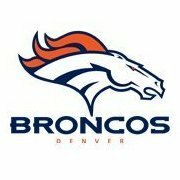 I think the rest of the draft and off season would have to be dedicated to getting a CB, OL, and DL if the Broncos were able to sign Harbaugh and draft Jones. Something bothers me about Herbert’s footwork and I’m trying to pinpoint it. I think it might be the extra elongated step back off his back plant leg before he throws that I feel is costing him a half a second and that is valuable time in the NFL. But what do I know. Gardner Minshew is an interesting player. I am obsessed with QB footwork. I really think it correlates to success and it’s something that can be worked on and I think it is a big reason why we have seen many jumps in success of players. He has a lot of tools but he will need someone who can work on his footwork as he often completely stops dead in the pocket at times for a half second to even a whole second before he throws. His better throws are when he keeps his feet active, and he needs to be more consistent with this. It is more difficult for average college DB’s to read because they can’t see the feet often times but what it is doing is tipping Dlineman when to put their hands up into throwing lanes. Also the more skilled DB’s in the league are going to be able to read his throws because as his feet stop he has already turned his upper body and shoulders towards his target. Lucky for him he has pretty good ball placement. If he can work on these mechanics he could be something. Haskins is my top guy right now. He could use some more experience and may need some time to develop in the league but man his arm and ball placement is beautiful. He has active feet in the pocket and he has led some clutch drives this season. He appears to have all of the tools and be the complete package except maybe the experience of some of the other passers. He stands in the pocket and takes a lick and he can elude pressure. I’m not sure about the offense either as there are a lot of one reads like screens and swings. Baker had a lot of one reads also but he had proven on tape he could look off defenders. I see Haskins doing some of that also but I’d like to see more. Broncofan has stated several times he should go back to school and I could see why. However developing for a year in the NFL while possibly getting some game reps his rookie year and not competing with next years QB class might entice him to leave early. It’s too soon for me to make a call on if it is the right decision for him to come out or stay. There are benefits to both. Another season in college of actual game experience (but that experience is coming from a predominant one read offense) or on the bench learning how to be a pro and learning an nfl offense. I hope he comes out and right now in my evaluation process that we strongly consider him if he is available. I don’t know if Haskins staying will benefit him. The list of NFL QB’s developing under Meyer have been great college QB’s and aside from Alex Smith haven’t done much of anything in the NFL. I think Haskins has the potential to be the best of those players and developing in the nfl now might benefit him. Plus, there is one more season with Keenum for him to learn behind...and like you said there will be moments where he will see some playing time.